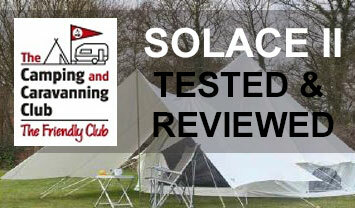 A large / spacious all round mess tent for parties, group gatherings or use for central storage/meeting area. New for 2016 are the two side doors, enabling multi access. Mesh windows and roll up doors add to its versatility. 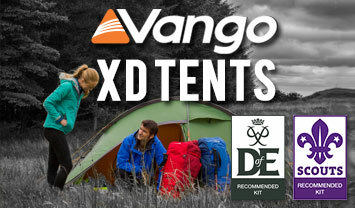 At 7.6m x 4.4m (that’s an extra 7m2 of space), the Bungalow 5 is our largest mess tent. Welded main guyline attachments - Maximum stability in high winds. Roll Up Front Door - Improved ventilation. Heavy duty zips - Strong, robust and will last for years. Manufactured using polycotton canvas made to our own premium specifications 12oz/393gsm. The poles are anodized 20g steel. All brackets are hardened/welded steel, and powder coated, for maximum strength and durability. Each Bungalow tent is Lifetime Guaranteed by Black's of Greenock, offering enourmous reassurance and value for money!